Early Bird $18.00 per person, Deadline is March 22nd. 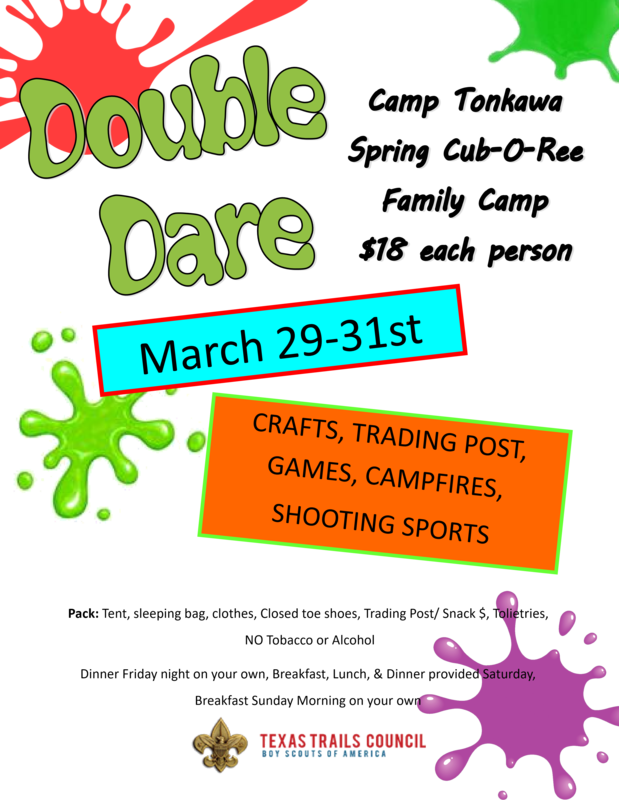 This is a FAMILY camp, each Scouting family MUST have at least one immediate adult family member in attendance. Before 3/23/2019 a discount of $5.00 will apply to all Cub Scout Registrants. Before 3/23/2019 a discount of $20.00 will apply to all Family of 5 or more Registrants. Before 3/23/2019 a discount of $5.00 will apply to all Grandparent Registrants. Before 3/23/2019 a discount of $5.00 will apply to all Parent Registrants. Before 3/23/2019 a discount of $5.00 will apply to all Sibling Registrants.